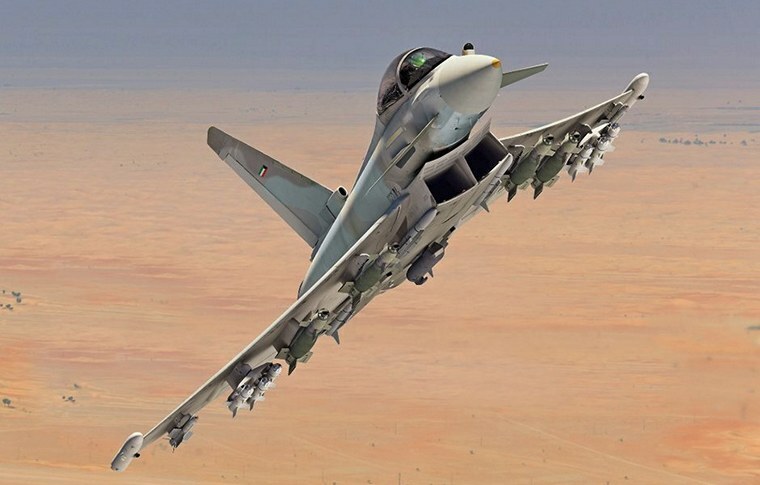 Kuwait's 28 Eurofighter Typhoons will be the most advanced of the type produced so far. 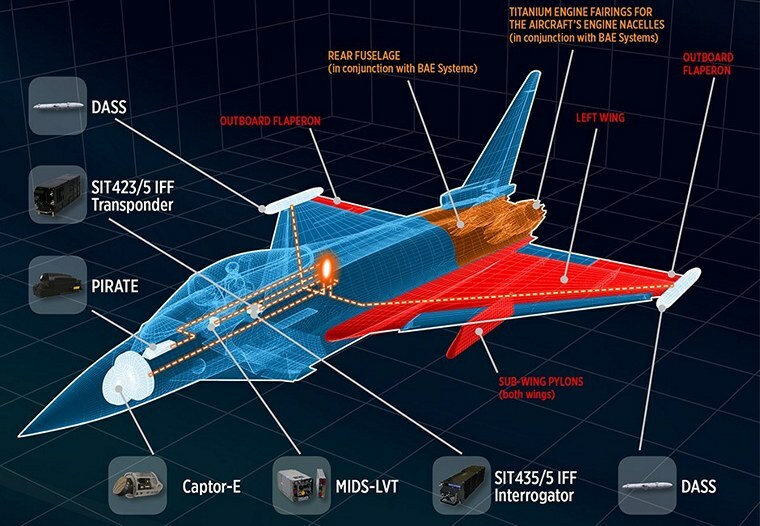 This multi-role fighter aircraft will have a package of capabilities on top of the previous Typhoon's enhancement programmes, such as the Captor-E (E-scan) radar and several novelties in the weapon system that will bring the Kuwait Air Force to the front-line of fighter technology. Delivery of the aircraft will start in 2020 and will be completed in 2023 making Kuwait the aircraft's eighth customer. On 5 April 2016, a contract between the Ministry of Defence of the State of Kuwait and Leonardo (acting as Prime Contractor Organisation) was signed. It was a true success of the Italian Country System, where politics, diplomacy, the Armed Forces and industry worked together, with considerable benefits in terms of know-how and qualified employment. The work sharing of the complex European partnership programme sees Leonardo in charge of producing all the left wings, complete with installed systems; all the rear sections of the fuselage, designed together with BAE Systems; some mobile surfaces and underwing pylons for loads; wing-fuselage joints and titanium engine fairing. Leonardo also designed and integrated important on-board systems (store management, navigation, flight controls, cockpit displays) and worked on the integration with the aircraft of the whole weapon and propulsion system. The parts that are later assembled to build the wings are produced at the Aerostructures Division's Nola (Naples) and Foggia plants and at the Aircraft Division's Venegono plant, whilst the rear sections are produced at the Torino Caselle plant, which is the location of the final assembly line of full aircraft. Leonardo's Airborne & Space Systems Division, with the support of the various production sites in Italy and the UK, contribute significantly to the development and production of the aircraft's avionics and main sensors. In particular, the Captor-E radar (M-scan and E-scan version), produced by the Euroradar consortium, the passive infrared PIRATE system, produced by the EuroFirst consortium (both consortium led by Leonardo) and the DASS auto-protection system (Defensive Aids Sub-System), and communication and IFF (Identification Friend or Foe) systems. Finally, at the Venegono Superiore plant in the Varese province, Leonardo designs and produces Ground Support Equipment (or AGE), such as air start and auxiliary power units. Since the second half of 2016 the Kuwait's production activities started with details manufacturing, in line with the baseline plan and in some cases even ahead of schedule. "The capability packages granted to Kuwait" said Giancarlo Mezzanatto, Eurofighter Programme Unit Vice President of the Leonardo Aircraft Division "will include the integration of Storm Shadow and Brimstone and other air-to-surface weapons that enrich the multirole characteristics of the aircraft and enhance the weapon system. Moreover, this configuration foresees the integration of a new advanced laser designator pod, the introduction of a combat training pod, an enhanced navigation aid and the above mentioned new Captor-E radar with its advanced antenna repositioner". The Captor-E radar provides significantly more power than most competing systems. Combined with the fighter's large nose aperture and the unique ability to move the radar antenna, the Typhoon has a field of view of 200 degrees and the flight tests are confirming the discriminating advantages this will bring. "This new radar underpins the Typhoon's current and future capability evolution" Mezzanatto added. The agreement with the Kuwait MoD includes also services to operate the Eurofighter fleet at its best such as the design and construction of the infrastructures at the Al-Salem Air Base in Kuwait and the initial support services for three years (with an option for a further five). This includes the supply of equipment and a suite of training devices to establish a pilot Operational Conversion Unit in Kuwait. This success in Kuwait is a further confirmation of the growing role that the multi-role aircraft produced by the Eurofighter Consortium plays in the Gulf Region. The latest contract signed is that inked by Qatar for 24 Typhoons, that sees Eurofighter partner BAE Systems acting as Prime Contractor. 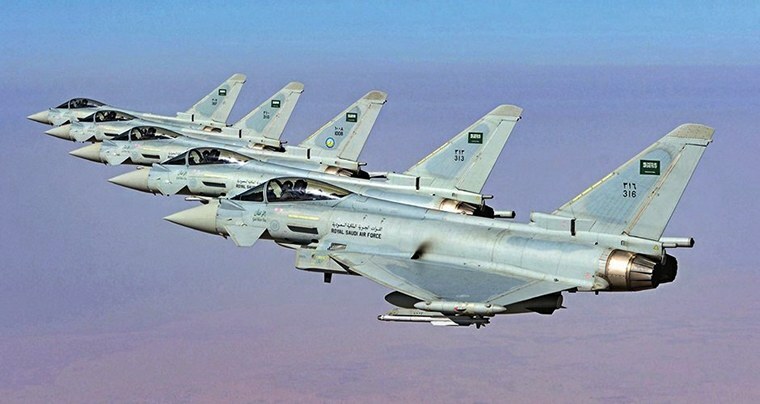 Furthermore the deliveries of all 72 units ordered by Saudi Arabia have been completed this year, and Oman has already received half of the 12 planned aircraft.